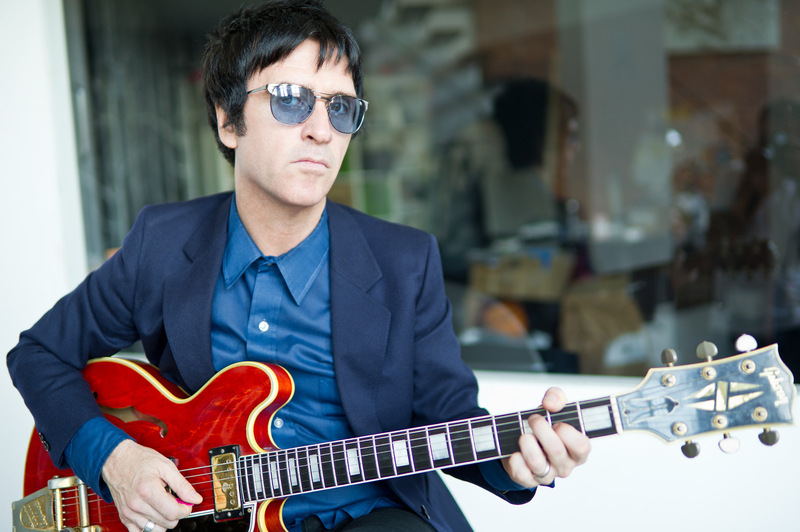 Former Smiths guitarist turned solo artist Johnny Marr has taken the latest issue of NME as a platform to let us know his true feelings about a few things in the world of music. In a column in the magazine, Marr delivered a blow to sister act Haim not for the band’s music, but for a photo the group posed for with British Prime Minister, David Cameron. The band also dedicated a song to Cameron in a performance. “It’s really simple: they made themselves look like idiots. It’s ridiculous. No-one put a gun to their head. The Conservatives tried to do the same thing with the Smiths, to re-appropriate us in a false way, to be cool by association,” Marr said. But Marr’s beef doesn’t end there. The guitarist also has a bone to pick with the popular music streaming service Spotify. “I think it entirely hampers new bands. I can’t think of anything more opposite to punk rock than Spotify. I have no answer to the economic side of the music industry, but I do think we certainly shouldn’t stop valuing what bands do. I don’t like great things being throwaway… Pop culture isn’t just about “the music, man.” It’s a way of life, and an aesthetic, and it’s not just about pressing a button and getting something entirely for convenience. Put it this way: we’re soon going to start seeing the difficulties of innovative music trying to swim in that huge tide,” Marr commented. Marr will definitely have more to say in the coming months, as he’s revealed plans to write a memoir.